Producer Group: Oyster Harbour Catchment Group Inc.
Site focus: Increasing feed throughout autumn by sowing winter active tall fescue. Soils: Loamy sand over clay. 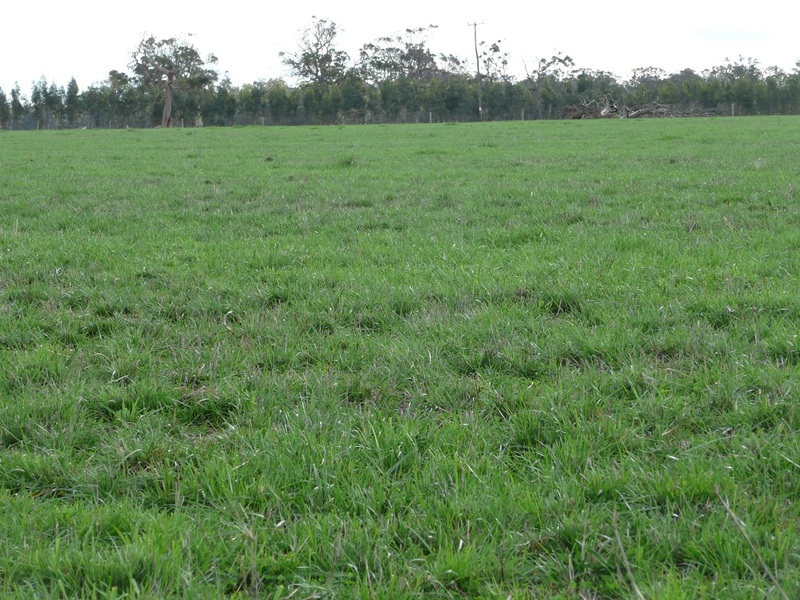 The site was often very wet throughout winter and previously had a pasture base of annual ryegrass and clover that was highly variable in production partly due to the waterlogged nature of the paddock. Resolute tall fescue was selected as it is known to tolerate water logging and also persists well under heavy rotational grazing. Kelvin used glyphosphate and chlorpyrifos prior to sowing to control annuals and red legged earth mite. The seed was sown at 17.5 kg/ha with a disc machine and rolled after sowing to ensure good seed to soil contact. Tall fescue needs to be sown at a rate of at least 12 kg/ha as the seed is similar in size to ryegrass – so a higher rate is needed to get an adequate plant density. Kelvin believes it’s important to go in with a heavy rate rather than skimp on seed and risk the failure of the stand. MCPA was used in 2007 to suppress broad leaf weeds that germinated after seeding. No fertiliser was used at sowing due to high pre-existing soil nutrient levels. A nitrogen-based fertiliser was used in 2007 and 45 kg/ha N, 3 kg/ha P and 3 kg/ha S was applied. Research work at Hamilton in Victoria has shown that tall fescue is very responsive to nitrogen applied in early autumn. Increased stocking rate – The fescue paddock had an average stocking rate of 16 DSE/ha, despite the paddock being destocked for three months in 2009 due to severe water-logging and seed being harvested in January 2009. Over the same period the annual paddock only carried 11.5 DSE/ha and required double the amount of supplementary feeding to maintain the stock. Reduced feed costs – Over 18 months, stock on the tall fescue required only half the amount of supplementary feed compared to the annual paddock. 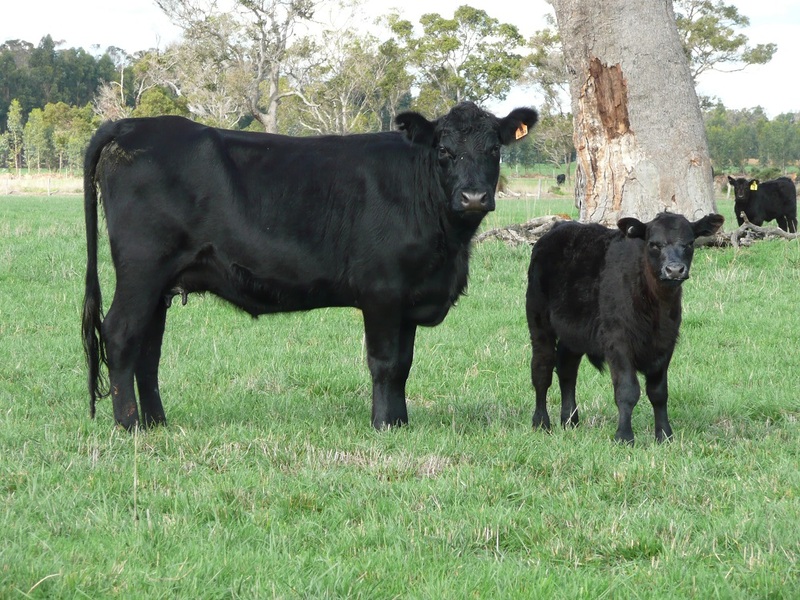 Flexible grazing management – The fescue paddock has helped plug the autumn feed gap, is a great calving paddock as well as being good for maintaining animals over the autumn period. It could also be used to fatten stock provided with the presence of an annual or perennial legume or herb. It is also a fantastic lambing paddock providing excellent protection for stock. Environmental benefits – While some waterlogging still occurs, observations are that this has been reduced. Tall fescue can set roots down to 2.5m which enables the plant to reduce recharge by about 30 mm or one third compared to annual ryegrass. Tall fescue also has a dense plant crown and so there is reduced pugging in wet conditions. Ground cover has been excellent at almost 100% compared to only 70% in the annual pasture. This has protected the paddock from any possible erosion, from either wind or water. Further information on growing tall fescue can be found in the EverGraze Action – Growing and using winter active Tall Fescue in southern Australia EverGraze research at the Hamilton EverGraze Proof Site in southwest Victoria also provides relevant recommendations for management strategies of tall fescue in high rainfall areas. Thank you to Kelvin and Estelle Ridgeway for hosting the site. This site was supported by the Department of Agriculture and Fisheries WA, and Future Farm Industries CRC through the National EverGraze Project.